Celebrate the start of Michigan summer in New Buffalo! 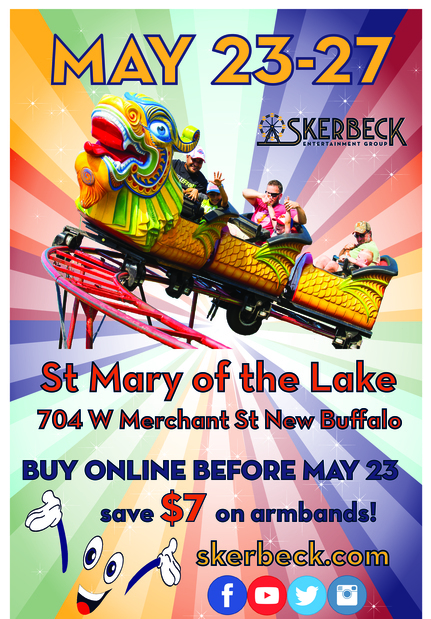 http://skerbeck.com/sales/shop/category.aspx?catid=16 or stop by the parish office. Discounted ride wristband vouchers are $18.